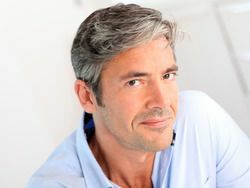 The professionals at the hair loss clinic True & Dorin in Manhattan specialize in surgical and non-surgical treatments, including hair transplants. Infection, while rare, is possible after undergoing any surgical treatment, including hair transplantation. To reduce a patient’s risk of infection after a surgical hair transplant procedure such as follicular unit transplantation, antibiotics may be given before and after the procedure. Dr. True and Dr. Dorin provide patients with aftercare instructions and tips to help reduce the risk of infection and ensure a positive and successful outcome after surgery. While rare, the risk of infection after hair transplant surgery should be taken seriously. An infection has the potential to affect the outcome of the hair transplant surgery. Infection can damage the transplanted hair grafts which may cause unsatisfactory results. Fortunately, infection after hair transplant surgery is usually easy to avoid. The most effective way that a patient can reduce his or her risk of infection after hair transplant surgery is by carefully following all post-surgical instructions. The purpose of post-surgical instructions is to ensure a successful outcome and an easier and quicker recovery period. Refraining from exercising: During the first one to two weeks after hair transplant surgery, exercise, sports, and other physical activities should be avoided. Any activity that may cause the patient to sweat profusely should be avoided during this time to help reduce the risk of infection. The bacteria within sweat can increase the risk of infection following surgery. Taking prescribed antibiotics: In cases in which antibiotics are prescribed to prevent infection after surgery, patients must take the full course of antibiotics. No scratching: After hair transplant surgery, patients will experience crusting. The crusting (scabs) that occur following surgery should not be picked at or touched. The scabs will begin to fall off within five to ten days after hair transplant surgery. Crusting can cause patients to feel a strong urge to scratch their heads. This can be quite bothersome and irritating. Shampooing the hair may help alleviate itchiness from crusting. Showering: The surgical site should be kept clean. Shampooing the hair may be resumed one to two days following hair transplant surgery. In order to reduce the risk of infection after hair transplant surgery, the treatment site must be kept clean and free of dirt and bacteria. Cleanliness: Patients should wash their hands thoroughly and often especially before coming in contact with the surgical site. Towels, linens, hats, and other items that may come into contact with the treatment site must be clean. Paying attention: Patients should monitor their progress and pay careful attention to the site of treatment. Some pain, tenderness, swelling, and redness should be expected following hair transplant surgery. An abnormal amount of swelling, tenderness, pain, and redness in the surgical site should be reported immediately as these may be signs of an infection or other complication. If you would like to learn more about how to reduce infection after hair transplant surgery or to schedule a confidential consultation, please contact True & Dorin today.